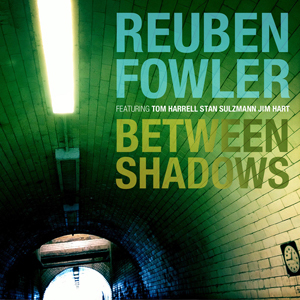 FROM THE very first horns entry, this debut album from Kenny Wheeler Prize-winning trumpeter/composer Reuben Fowler announces its clear intent – contemporary big band artistry of significant stature! Only a short time since graduation from the Royal Academy of Music, and just a handful of years from picking up his instrument as a teenager, Fowler has mustered an incredible line-up of musicians to play out the creativity that seemingly gushes from his passion for this field of jazz! The personnel is on outstanding form, boasting such names as Stan Sulzmann, Jim Hart, Tom Harrell, George Crowley, with Dave Hamblett (drums) and Matt Robinson (piano and Rhodes). Opening number ‘Too Minor’ (written by the late Richard Turner) is an absolute tour de force, brimming with confidence and impetus, building in energy and complexity as it progresses. The mellow ‘Holness’, with George Crowley leading both smoothly and lithely on clarinet, is introduced with tight brass harmonies which then extend out into lush scoring for the whole band. Indeed, the writing is exceptional throughout this album – accessible, yet overflowing with ideas which twist and turn away from the conventional (not unlike Dave Holland’s large-scale projects). ‘Dundry (for JGB)’, written for alto sax soloist James Gardiner-Bateman and referencing his south-of-Bristol residence, presents a ten-minute groove-driven stand-out track, with Hart’s vibes and Alex Munk’s guitar suggesting a landscape more Manhattan than Somerset (Fowler & Hutch, maybe?! ), complete with brassy crescendos. It just pulls you under its spell, with Tom Harrell’s flugelhorn the perfect Hubbard-like lead, and Gardiner-Bateman providing a wonderfully jarring sax line – magnificent right through to its TV theme tune close! The five-part suite ‘Between Shadows’ neatly incorporates an exquisite arrangement of ‘A Nightingale Sang in Berkeley Square’, the tempo eventually changing up a gear to showcase ravishing improvisations including that of trombonist, Robbie Harvey, backed by Jim Hart. Voices add another dimension to ‘The Lost’ and ‘The Lost and the Found’ (gorgeous tone from Brigitte Beraha), with Stan Sulzmann embellishing brightly on soprano – and Fowler plays flugel so assuredly and sensitively beyond his years. Tenor player Joe Wright features on ‘Ending’, drawing this generous release (recorded in just two days) to a close. We are told that the pieces in the suite ‘Between Shadows’ are a response to poetry which suggests ‘something special, to cherish’. That is certainly the case here, and Reuben Fowler deserves all the accolades that are sure to come his way – firstly, for his compositional maturity, and then for the achievement of masterminding such an accomplished and illustrious group of musicians to breathe life into his music. As is the Edition Records way, the production is crystal clear, capturing the detail from the full range of dynamics to present this big band in all its glory. A real winner of an album, which is launched at The Forge, London, 25 July 2013.